Avoid the city and head to Fairfield this New Year's Eve for an afternoon and evening of family fun at Calmsley Hill City Farm. Enjoy loads of activities, entertainment and food stalls before fireworks kickoff simultaneously over seven sites. This huge spectacular features live stage performances, a silent disco, free amusement rides and a children's circus workshop. 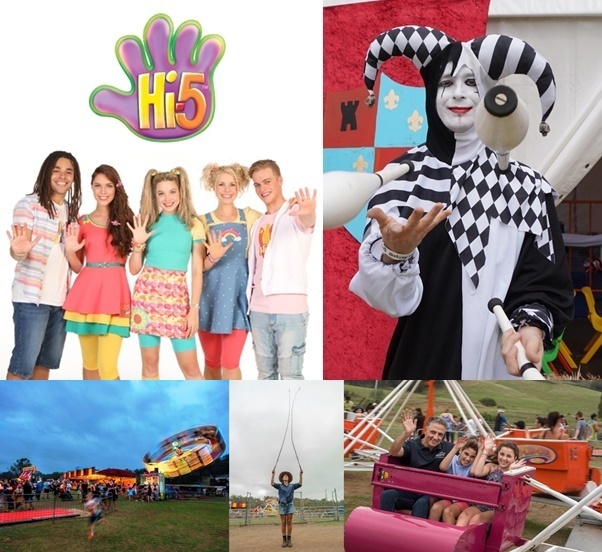 The young ones will love headline act Hi-5 (Bailey, Courtney, Joe, Shay and Lachie) singing plenty of their favourite songs as they welcome in a new year. Hula hoop performance artist Shiho Sparkle Hooper will bring smiles and her expertise to onlookers with her Happy Hoopy Show as will Mr Juggle Serge Rybak with his juggling on a 6-foot tall unicycle. Jumpin Kids is another high energy act with a vibrant mix of original songs that take you on a journey with funky dance moves. These, along with other acts, are sure to catch your eye as they bring the stage and farm alive. The resident farm animals bring the cuteness factor in this event, especially the small chicks, bunnies, calves, piglets and kid goats, whilst a stock whip demonstration will show you how to crack it if you ever want to muster cattle, sheep, horses, etc. 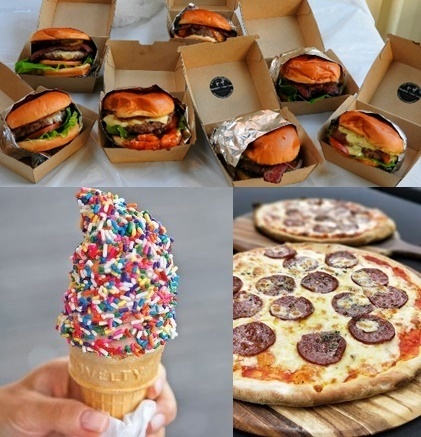 The farm will also have plenty of food to satisfy your hunger and indulgences that include burgers, chips, hot dogs, salads, ice cream, icy drinks and more. Smokin Moo Moo, Zelicious Woodfire Pizza, Sydney Ice Cream and Coffee Nova are all onsite and the farm's own cafe will be open as well. A fundraising sausage sizzle barbecue will operate too, making for loads of choice. All of the fun at the farm starts at 4.30pm before fireworks begin at 9pm. Entry to the farm for this event is a mere $3 per person for those over 12 months of age. Children will receive a free glow stick upon entry, subject to availability. Tickets can be purchased through Try Booking. Get in early as this popular event books out. Note this is an alcohol-free event. 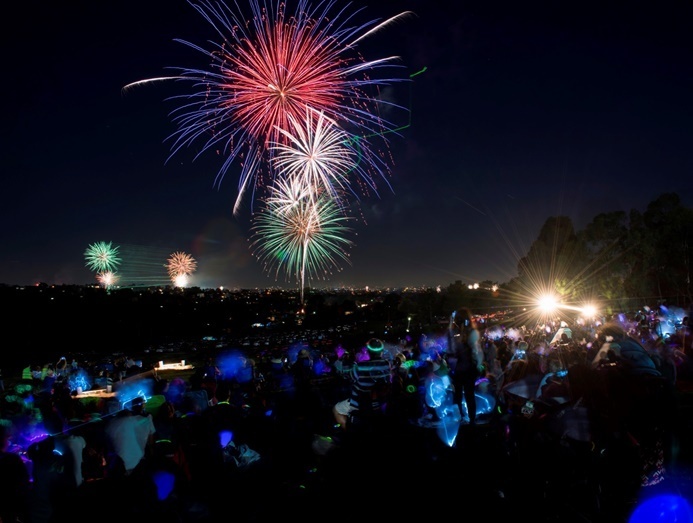 If you're wanting alcohol as part of your New Year's Eve, then you might want to head to one of the other six fireworks sites at sponsor clubs in the Fairfield City Council area. Most of these clubs also have events on so be sure to check out what else these clubs are doing on New Year's Eve. There's everything from dinner dances to shows and rock 'n' roll parties before the fireworks light up the sky.